Why talk about 2 types of Rheumatoid Arthritis medications? 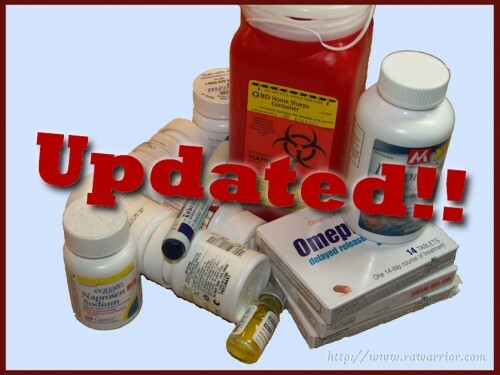 One of the first blog posts I ever wrote was about Rheumatoid Arthritis medications. I suggest that patients ask doctors about each medication: “How is this supposed to help me?” I wanted to make a clear distinction between medications for disease treatment and medications for relief of symptoms for several reasons. Some patients seemed confused about how specific medications treated their RA. Some doctors seem to emphasize disease treatment and assume that it is sufficient for patients to do well enough to get by. Some doctors seem to emphasize symptom treatment and be very slow to progress toward more aggressive disease treatments. What most Rheumatoid Arthritis patients require is a proper combination of both types of medications: disease treatment and symptom relief. Why? Unfortunately Rheumatoid Arthritis treatment is not advanced enough yet that disease treatment is effective enough to be sufficient for most patients. However, emphasis on symptom treatment to the neglect of disease treatment puts the patient at greater risk of increased damage and greater disease progression. The latter is referred to as the pyramid approach to Rheumatoid Arthritis medications which is still recommended by some reputable sources and used by some RA specialists. With this approach, anti-inflammatories such as NSAIDs or steroids are used before disease treatments (disease modifying anti-rheumatic drugs or DMARDs) are offered. To be clear, anti-inflammatories have no affect on disease progression or damage. 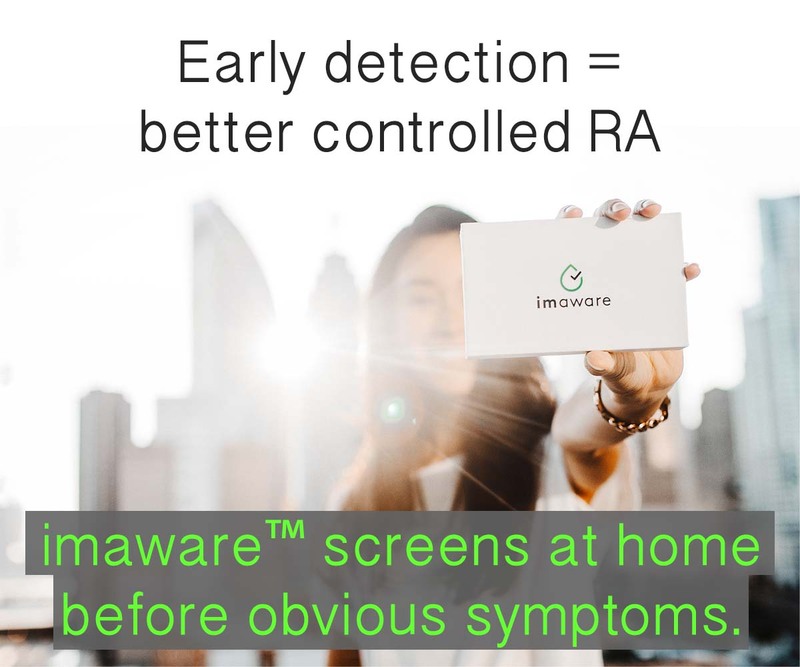 Sadly many patients have RA damage by the time they are diagnosed. Patients must be knowledgeable about this reality so they can explore options to 1) fight their Rheumatoid Arthritis as aggressively as they choose to; and 2) find treatments to make their lives as comfortable and functional as possible. Most patients that I have contact with are still looking for the combination that will help them to be the best that they can be. Incorporate patient accounts of functional status in assessments of disease activity. Investigate current research of the newest treatment approaches. Inform patients about all available options for both kinds of treatments. Include patients’ questions, goals, and fears in discussions of treatment options. I haven’t had a lot of luck with Rheumatoid Arthritis medications so far. It seems like about a third of patients are in that same boat. A little over 40 percent of patients seem to get about 50 percent improvement from RA medications, at least for a time. A small percentage of patients get a much better result. Tomorrow, I turn the page again. I’m going to meet with Dr. Smart Rheum Doc and go through the process of choosing the next thing to try. Hopefully, we can find the magical formula in the next disease treatment. However, if there is not a pot of gold at the end of the next rainbow, I’m determined to persevere to find a way to treat the symptoms to be as comfortable and functional as possible. There are so many things I want to do. 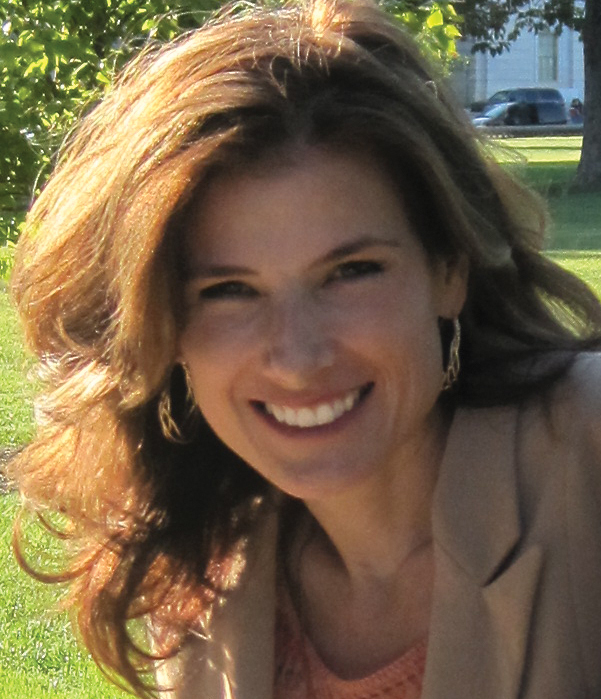 Reminder about tomorrow’s webinar w/ Dr. Rebecca Bader on RA!! 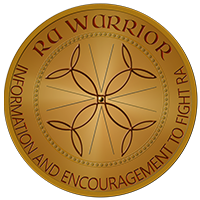 She is using some material from RA Warrior & I hope you didn’t miss the rest of good news last week- click here to read about all of it! When I was first diagnosed, 6 months ago, I could not believe the amount of pills thrown at me. My Doctor did not explain what they all do. Not to mention the adverse reactions I might have being on other medications already. This has been a journey of research, and invesigation. I am blessed too have 4 very close friends/family members that are pharmacits. Together, we have reviewed what I take, eliminated a few things, Lexapro ect., and have built a program I understand. I feel fortunate. But, this was not a result of my Rheumy’s doing. I had to figure it out myself, what each pill was for. I resent taking so many med’s. I feel like I am poisoning my body further, yet I know without these medications, I would be a shell of who I am now. This place has changed the way I look at things. I am not alone, and Kelly, I appreciate all you do to keep us informed, because without you, we don’t have the information we need. This is an invisable desease, and we have to be heard! Thanks, Heather. I’m so glad your doctor sent you 😀 I did see your blog with my Kale chips photo. Thanks for referring readers back to our RA Kitchen. Your link “source” does not come back here – maybe you had some technical problems with it. Hopefully, you will do well on Enbrel. Most people do. Wash your hands a lot 😉 etc. I was diagnosed pretty quickly in the middle of a very sudden and aggressive flare (completely unable to move at all without extreme pain), and before any joint damage had occurred. I am thankful for the British medical system as the number of tests would have been beyond our capacity to pay, and I would have put off going to the doctor. The rheumatologist did put me on steroids first, carefully explained what they do, and possible side effects to watch for, and explained disease modifying drugs, and what they do, and referred me for necessary tests prior to starting them. I have a lot of improvement, and am not yet at the maximum dose of Methotrexate. I have been instructed in steadily reducing the dose of steroids, and learning how to manage some pain (minor compared to the weeks in bed!) and some fatigue. Will see the rheumatologist again this week and am, all in all, grateful for the treatment I have received. Thanks for that good report Cindy. It sounds like it went the way it should go. Good luck to you to keep doing better. You’re in my prayers for your meeting with your rheumatologist. Hopefully you and your doc will find the right thing to help you this time. We were on the same meds there a couple of times. After switching to Humira, I am now doing much better. btw, why does my computer keep pointing out that I am misspelling rheumatologist when I am not? I don’t know. My email Thunderbird also swears that is NOT a word. LOL. Don’t we wish there were no such thing as rheumatology. After diagnosis I went through the whole gamut of drugs, cortisone, NSAIDs, and the option of DMARDS. I did some homework and made my own decision about my treatment. I chose not to continue with Methotrexate or plaquinil, because I was concerned about the side effects and the apparent variation as to effectiveness. So after 7 years I decided to drop the celebrex and other nsaids and I opted for Panadol Osteo (slow release paracetamol) and a dietary supplement to handle the inflammation without side effects. This has been effective for pain relief and keeping me mobile and functional. I’m now looking into the possibility that I may be deficient in both magnesium and potassium (I have high blood pressure and I’m taking micardis for this). I have found quite a lot of info regarding these deficiencies which relate to RA. Potassium is important for the production of cortisol. Magnesium is important for the absorption of potassium through diet. If you have a deficiency in magnesium, a potassium deficiency is also possible. Lack of potassium means that your body doesn’t regulate cortisol or sodium properly. I had almost a complete remission during pregnancy, apparently cortisol is produced in much higher quantities by the body during pregnancy. From your blog on pregnancy and RA I followed a couple of links and found a whole lot of data about the possibility of magnesium/potassium deficiency being related to RA. There are some studies currently being done, but I don’t think its a popular area with the medical profession. Has anyone else heard of this? I’d love to hear from anyone with any experience in this area. I’ve been suffering from leg cramps for years and high blood pressure and progressive myopia, all of which have known links to magnesium deficiency. I’m about to explore this with my GP, but if anyone else has any info I’d love to hear it. Maybe I’m chasing a pipe dream, and it could be that this area of RA treatment or study isn’t popular with the medico’s for a reason that I haven’t unearthed yet. Any feedback would be welcomed. In the mean time, I’ve upped my magnesium intake and I’ve had three good nights sleep without leg cramps (and we’ve got really hot weather here at the moment – so I’m delighted). I can also report some muscular and tendon relief in my legs and arms that I didn’t even realise was muscular rather than RA based. So any improvements are good. Hi Tracey, the only feed back I can give on mg. is that yes, when I had leg cramps years ago, I took a little bit in the evenings and it also helped me to sleep well without those cramps. My RA doc has told me that the RA cramps are different than those from a deficiency, but if this works for you, that’s great – as long as it’s not so much that it causes another problem. I’ll keep looking, and I’ll be keeping a close eye on quantities! Funny, I thought I should be taking the magnesium in the evenings too, until I found that it also gives you energy, so taking it at night might actually keep you awake! I’m all for more energy – but not when I’m trying to sleep! Thanks again for your work on this blog – it’s great to have others to talk to who can really relate to RA. I’ve had r.a. for 7 years, the last 18 months severely. I have tried plaquenil, methetraxate, arava, steroids and was to go onto embrel this month. I had serious side effects to methetraxate and arava and was promptly taken off those drugs. Because of my fear of the side effects of embrel, I started to research r.a. intensively. I bought an interesting book, The Roadback by Dr Thomas McPherson Brown, and felt like the book was written about me and my symptoms. With the support of my rheumy, doctor and naturopath I commenced Dr. Brown’s antibiotic treatment (minomycin) 9 weeks ago. I also take a very good probiotic, eat only raw foods, no dairy and no gluten. I have gone from not driving, working, being able to get out of bed and dressed without assistance etc., chronic fatigue, severe pain (lots of strong painkillers) to being independent of help and living my life almost like it was before I had r.a. I only have to take painkillers occasionally now. This has worked for me – maybe it wouldn’t work for everyone – but I no longer have to worry about the side effects of very potent drugs. I feel alive and well. Thanks to Dr. Brown I have my life back. We have had a lot of Dr. Brown’s supporters or even family members post comments and links here, so we have heard about it. There is one response to it here on the blog in case anyone wants to read: https://www.rawarrior.com/antibiotics-as-rheumatoid-arthritis-therapy/ . It’s true that some antibiotics have anti-inflammatory properties and that we are in the the beginning stages of understanding RA. However, the researchers I’ve interviewed do say his science is flawed in certain ways so I’m cautious about it. Thanks for your reply. Conventional drug treatment works for most people but my rheumy has taken me off all those drugs because of serious side effects. I have severe r.a., blood tests showing very high readings – rheumatoid factor of 3,300 for example. Having nothing to lose I started on the antibiotic therapy – it was that or no drugs at all – and for me, for whatever reason, it is working. Maybe I am one of the lucky ones. No one is lucky to have RA, but if you get any relief I’m very glad for you. I did discuss antibiotics this a.m. with my rheum doc and we decided against it. I know that there is a lot that is not understood about RA as I said, so I don’t rule out that it could help some patients especially since the anti-inflammatory properties of certain antibiotics are documented. It’s just that there are usually more effective or safe long term options for inflammation. I think the Mag/calcium/K deficiency is not very possible unless you have underlying kidney disease or just ran a marathon, or perhaps have dumping syndrome related to the GI (usually secondary to gastric bypass), or chronic diarrhea/vomiting. Most folks in the western world have normal values for these electrolytes. As far as the antibiotic link and joint pain, I think the link lies in the *misdiagnosis* with lyme disease and RA. Lyme disease is a difficult one to treat with a long course of antibiotics. Secondly, there are those that have GI inflammation that can also cause inflammatory joint disease, so those people may have that as a diagnosis. That is the trouble with inflammation. Where is it coming from. There are going to be people misdiagnosed with RA and they may have Lupus, the “great immitator.” I think the real issue here is, are your joints actually becoming a target; are they showing up on MRI/ultrasound/CT/XRAY as degrading? I think this is a good indication. Some of us have layers of autoimmune disease, and hopefully, we can find relief from the meds that they give us, that we can stop joint destruction in its path. That is the real danger with playing roullette with a diagosis path. That the joint destruction leads to deformity, inablity to work/live a physical life, pain, etc… Its when we get the I think we will putter around with the natural cure, that we make a choice, I wonder if that thinking can’t live with regular western science/medicine and keep you well. Because in the end a joint will work or it won’t. Will you want to replace it with titanium when its completely destroyed? That’s not natural, either. But it is of this earth. For what it’s worth, I’ve never noticed ANY side effect whatsoever from any of the biologics I was on (Enbrel, Humira, Orencia, Cimzia). Most of them didn’t WORK (except for Cimzia), but they didn’t do any harm either. I think the black-box warnings on the biologics are maybe a little too effective – they get people scared to try things that help lots of folks, because of fears of side-effects that are mostly pretty rare. Actually, there are a few who are starting to look again at the infectious theory for being a cause for RA again. In the past they could not prove it, but some testing methods have improved and so a few are researching it. I have actually thought about discussing the possibility of perhaps adding doxycycline in lower doses to my current regimine of traditional DMARDs. If I remember this at the next visit, I will bring it up. Maybe one of the Residents can research a bit and see what they think. In fact, my first rheumatologist did put me on Doxy. for several months, on the off chance it was Lyme, but it did not do anything at the time. However, he did not have me on any DMARDs (only NSAID and prednisone), which I think I needed to help kick the RA into lower activity. In fact, after being diagnosed by him and not seeing much relief, and after much research I knew I needed more agressive treatment so I found a new rheumatologist. I’m intrigued by the theory and think I just might add the antibiotic to my current methotrexate, prednisone and plaquenil. The theory is based on the bacterial flora in the intestines being out of whack basically. Perhaps I might try some pro-biotics too. But I won’t give up my DMARDs. Kelly, I too am one of those that have had a very difficult time finding a medication that works to SOME degree. I was diagnosed almost 6 years ago, immediately went on Mobic and Plaquinal )which I am still taking) and followed that with Methotrexate Injections (4years) Enbrel (1/2 years) Prednisone on and off for acute flare ups (which I am currently on) Orencia (which nearly killed me from Septic Shock)went off all RA meds for one year because I was scared to death (almost literally!) after the experience with the Orencia Infusions and now am trying Arava. I have been on that for 6weeks now and I do feel like I have a significant improvement. Unfortunately, I am experiencing side effects but truly want to continue. I pray every day for an improvement. I am 58 years old and have been an RN for 30 years. I truly do not want to stop working!!! I love caring for others but I have a hard time caring for myself when my RA flairs. Sometimes I feel as no one understands. If I could turn back the clock 6 years I would do so in a second..but it is what it is. My heart goes out to ALL fellow RA’ers. Is it true that by smoking cannabis it can actually help with some of the symptoms of the disease as well as some of the side affects of the medications? Yes, treatment is a “cocktail” of meds and it takes a while to discover what works for you. After 9 years I found a wonderful RA doc who discovered what works for me (to my amazement!) Humira (bi-weekly), Methotrexate (weekly), Hydroxychloroquine (3x day – that’s Plaquenil’s generic), Calcium, minerals, folic acid, D3+ and a multi-vitamin with Tylenol extra strength as needed, is the regime. When I begin to flare she puts me on a “burst and taper” of Prednisone starting at 30 mg reducing by 5 mg every two days and that seems to work. I am allergic to all NSAIDS, which is very limiting. I actually experienced a pain-free and inflamation free two weeks WITH ENERGY, last month! I was my old pre-RA self! It was amazing! I am hoping for more days like that to come. My RA is classed as “severe and agressive”, so I was very happy to have those wonderful days to garden, can and enjoy the sun and life again! I am encouraged to read your story and the examples of the treatment that others have experienced. The rheumatologist who is treating me is a kind and caring person, but does not provide me with many answers nor explain the reasoning behind his treatment. I have learned much from reading your forum, and feel that I have a much better understanding of the battle that is taking place within my body. As I was diagnosed in April of this year, I am still taking 20mg of methotrexate and am now on a reduced dose of 5mg of prednisone. Whilst the inflammation and pain have reduced, they have not gone. On many days my hands, knees and feet are swollen and painful… Yet my blood tests say that I have no inflammation and doc bases his treatment plan on what the blood shows?! I try not to get frustrated at this response as I still clearly recall the agonizing pain that my RA began with, and he relieved that pain with high doses of prednisone over a period of 2 months. I was so grateful that I made the decision too trust him with my treatment plan. It is now 8 months on, and even though I still cannot do what I used to do ‘before RA’, I am now able to walk further and accomplish much more than I was able to do after it first hit me.